Hide cables behind the monitor to keep your table neat! 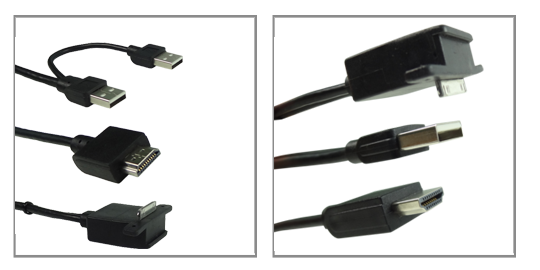 This Y cable combines an HDMI video cable and USB power cable, which helps hide the cables behind the monitor. 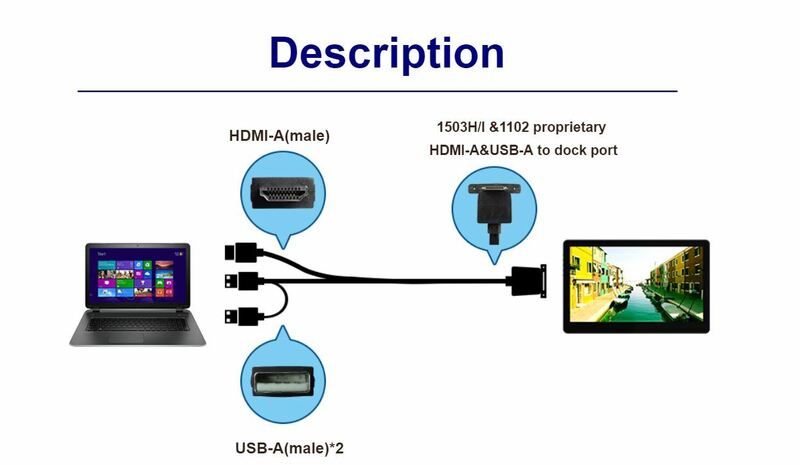 Just connect the HDMI-A & USB-A to the dock port cable on the rear port of the 1503H/I &1102 series, and create a clean working desk. 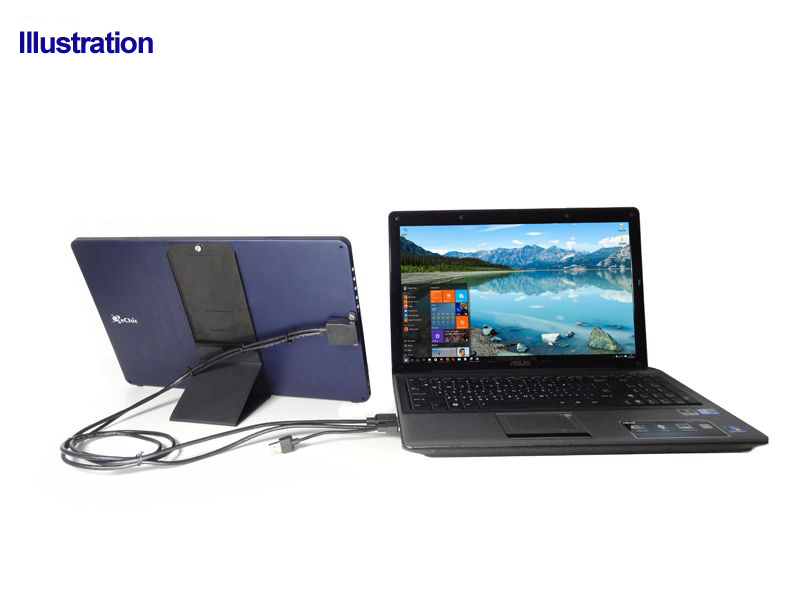 This is also an ideal solution for industrial users!